Herzog confident Trump will halt the recent attacks on Jews. The opposition leader in Israel, Isaac Herzog, praised President Donald Trump's recent condemnation of anti-Semitism in a speech to Congress, and said he was confident the president would halt the recent attacks on Jews. 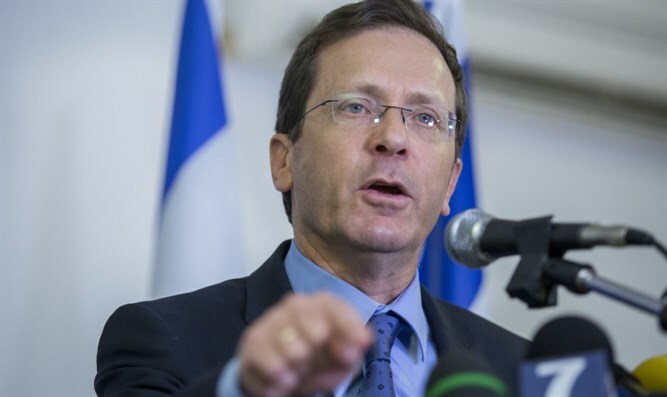 But Herzog, who heads the Labor Party, reiterated his recent comments that U.S. anti-Semitism would lead to more American Jews moving to Israel. "I welcome the president's comments in the joint session of the house, and I'm sure they will act forcefully against any act of anti-Semitism," Herzog said on a conference call organized by the Israel Policy Forum, a U.S.-based center-left pro-Israel group. "A phenomenon we've seen in many countries around the world, when things of this nature occur, we see more people coming to Israel on aliyah," the Hebrew term for Jews immigrating to Israel. Herzog also reviewed his 10-point plan for Israeli-Palestinian peace, which calls for a multi-year process of intermediate confidence-building steps that would lead to direct negotiations in concert with other Middle Eastern nations. Trump at his news conference last month with Israeli Prime Minister Benjamin Netanyahu did not equivocally endorse the two-state solution, though members of his administration did so soon afterward. Herzog praised the Trump administration's stance on Israel, predicting that it would support the two-state solution once it studies the issue. "I'm quite confident they understand the intricacies and the sensitivities," Herzog said. "I would like to give them credit for the ability to learn the topic in depth, and understand that the only solution, the only solution for a viable nation-state of the Jewish people ... is the two-state solution."